Cold lemon-lime soda in a pint glass with a rim of chocolate glaze and multi-colored sprinkles. 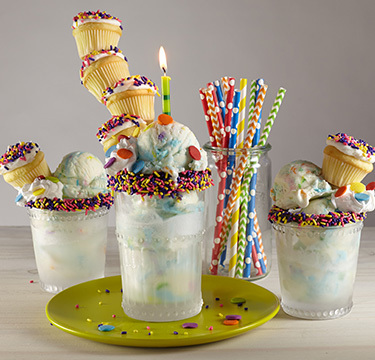 The glass is filled with a generous scoop of birthday cake ice cream and a tiny cupcake, and then garnished with extra fluffy whipped cream frosting and more sprinkles—candles optional! Stack 4 mini frosted cupcakes on a 12" bamboo skewer, set aside. 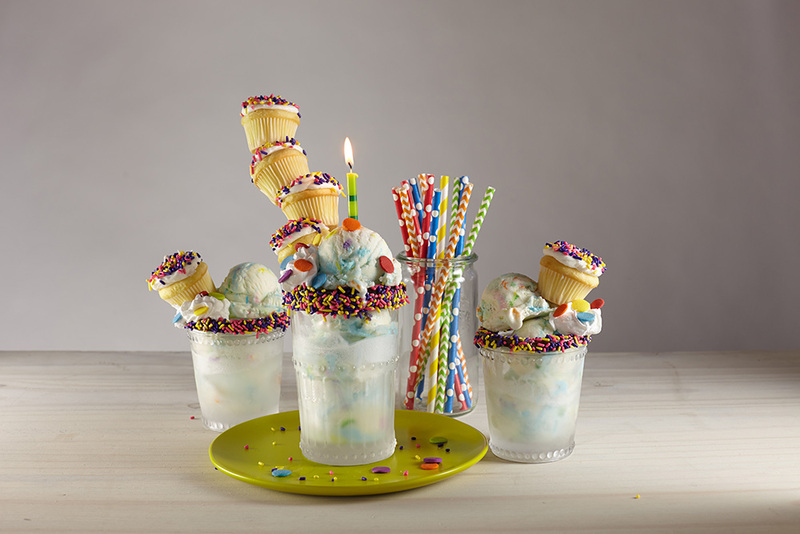 Scoop three #12 scoops of Blue Bunny Birthday Cake Ice Cream into prepared glass. Top with lemon-lime soda. Top float with whipped cream and additional sprinkles as desired. Gently place cupcake skewer into float and serve immediately. Tempered semi-sweet or white chocolate can be substituted for the chocolate glaze.